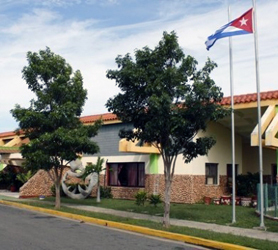 Hotel Punta la Cueva Cienfuegos offers 67 spacious air-conditioned rooms. Hotel Punta la Cueva Cienfuegos is located in lush tropical gardens with its own small private beach & sea pier from which guests can experience fantastic Caribbean sunrises & sunsets across the Cienfuegos bay. Unlike other hotels in the area, its ideal location on the east side of Cienfuegos Bay means it’s just few minutes’ walk from the historic colonial center of Cienfuegos. The Islazul Hotel Punta la Cueva Cienfuegos has a large freshwater swimming pool & amenities including a perfect big buffet restaurant, bar, nightclub, shop & free car parking. Our booking process is unique because it shows the best rate from all of these for Punta La Cueva hotel in Cienfuegos and the types of rooms available. 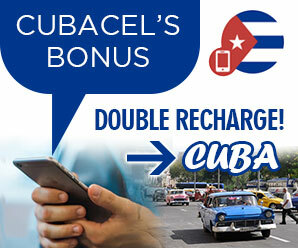 Our Hotel Punta La Cueva Cienfuegos rate comparison is an industry first for Cuban Hotels. Once you’ve compared the rates, finalizing the booking at Punta La Cueva Hotel takes just seconds and an immediate confirmation is provided in real-time.